These presentation slides 45210 are complete compatible with Google Slides. Simple download PPTX and open the template in Google Slides. 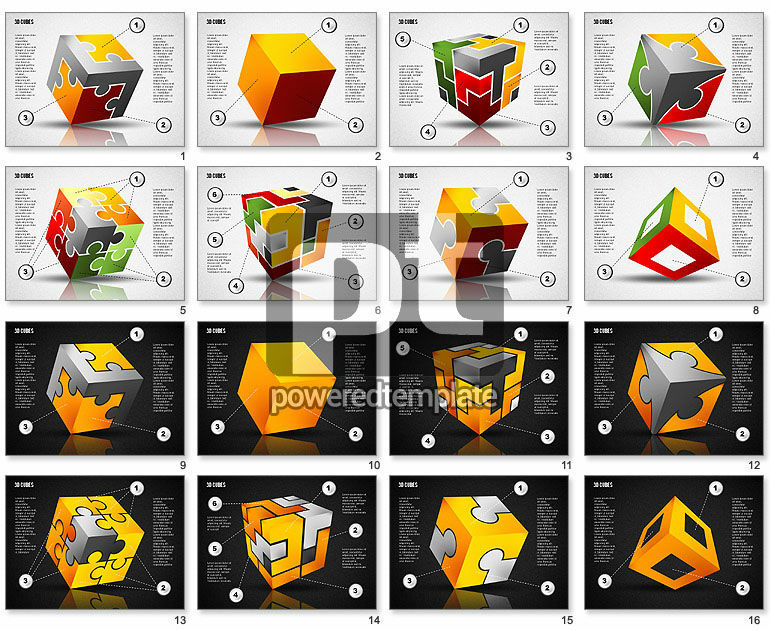 Don’t miss a chance to use this cool 3D template. It is created to suit various needs with two variants of the background and different colorful cubes, made in a puzzle manner. You may use this stunning theme for presentations about new business, stages, key solutions, complex decisions and making choices in various spheres of business, media, network, education and so on.